My oldest sister Denise always says that my daughter should be a spokesperson for Asturias, as it is her favorite province in Northern Spain. We have been vacationing up north since she was a very small baby and it is something she looks forward to all year long. She will ramble on about the green landscape, the beautiful beaches, the wonderful food, and of course the healthy cows that produce her favorite milk and ice-cream. We try to spend most of our time in campgrounds while visiting the north of Spain because we love the people and the freedom that Luna has to run around. Spending the days swimming and hiking from cove to cove is one of our favorite past times. One of the most picturesque towns is Luanco, just west of Gijón. We spent one night in the town a few years ago at a beautiful hotel right on the sea where they served us breakfast as we watched the fish swim. We always go back to Luanco for a few reasons. One, is the delicious ice-cream we have found there, my favorite being rice pudding, which is the richest most delicious bit of cream I have ever tasted. Luna always tastes a different flavor, trying to never repeat. 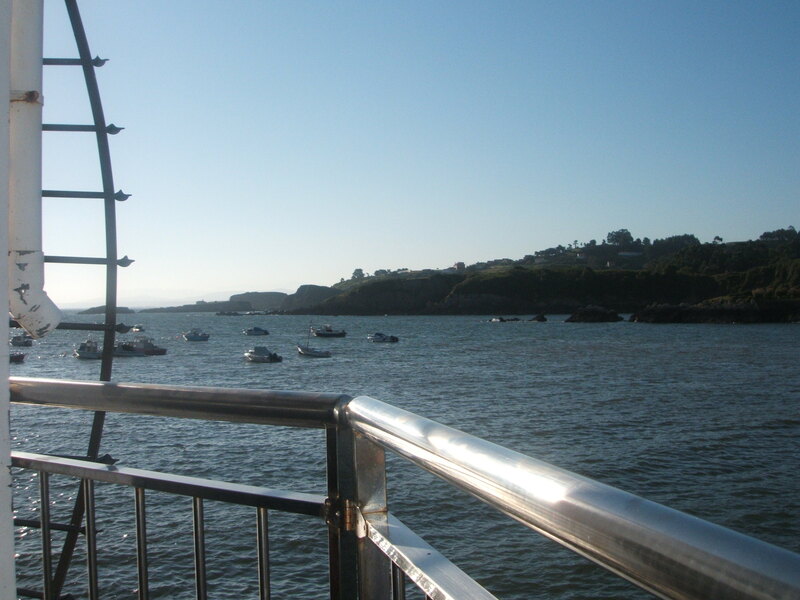 The other reason for visiting Luanco is the wonderful family beach in the town. But, on our last trip Luna found her best excuse for visiting Luanco. Milk from Asturian cows sold in a vending machine!!! 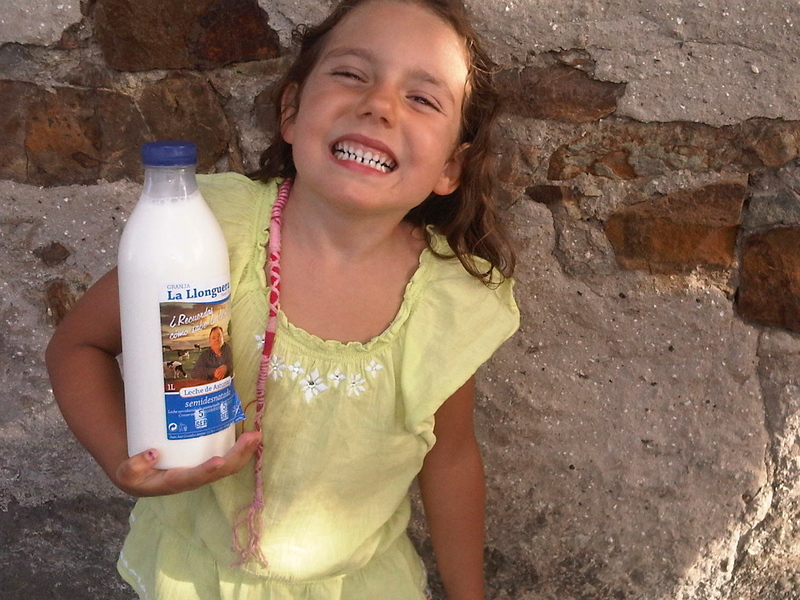 For one euro she proudly carried her liter of fresh cow milk back to the campground. Amazing. Milk from a vending machine that tasted like actual milk and even had a layer of cream on top. Does life get better than this when you are 5, or 39?????? 🙂 nothing like fresh good milk!! eres la leche!